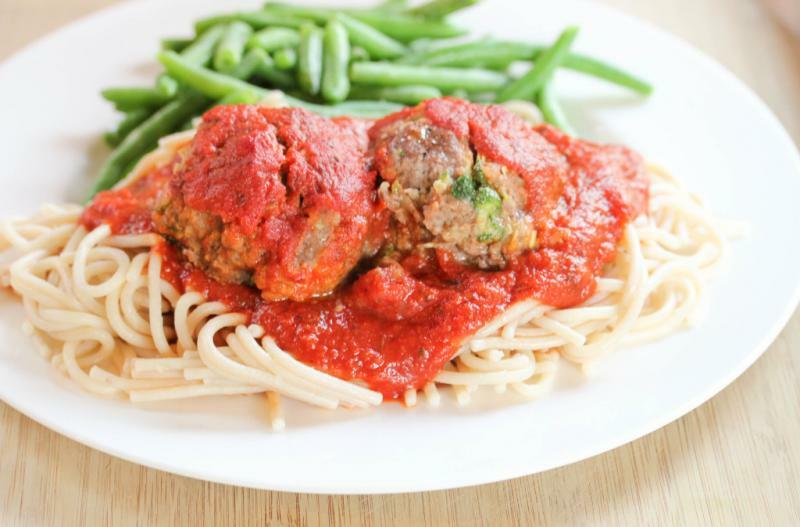 The zucchini adds a nice flavor to these hearty meatballs! Shred or grate the zucchini with a cheese grater. In a large mixing bowl, combine the ground beef, shredded zucchini, egg, breadcrumbs, minced garlic, Italian seasoning with a pinch of salt and pepper. Using an ice cream scoop, form meatballs and place them in a single layer into a baking dish. Pour the spaghetti sauce over the top. Bake in the preheated oven for 25 to 30 minutes, or until cooked through. Cooking time may vary depending on size of meatballs. 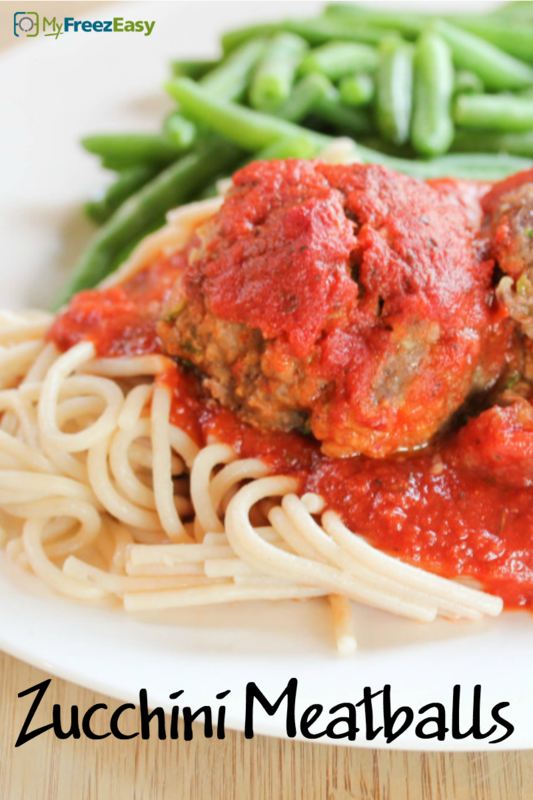 Serve Zucchini Meatballs over pasta with salad. Shred 2 zucchini with cheese grater. In a large mixing bowl, combine 2 lbs. ground beef, shredded zucchini, 2 eggs, 1 cup breadcrumbs, 2 tsp minced garlic, 2 tsp Italian seasoning with salt and pepper. Using an ice cream scoop, form meatballs and place them in a single layer into the disposable baking dish.